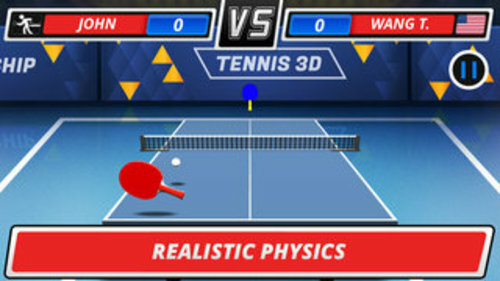 Immerse yourself into the world of table tennis on your iPhone, iPad, iPod. Find more powerful players, unique rackets, balls, and game locations while gradually going through all game modes. 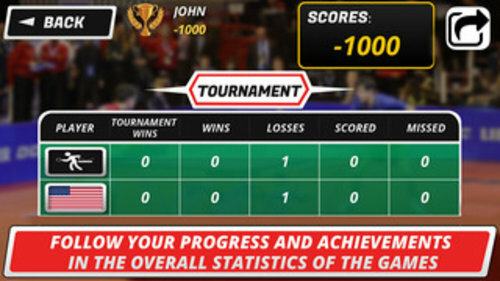 The game displays the statistics of all games so you can keep track of your progress. The game has a variety of effects designed to animate and enliven your game experience. Take part in the championship and show how good you are. The online mode was added! You can play to each other through internet!! Invite your friends and play with them! 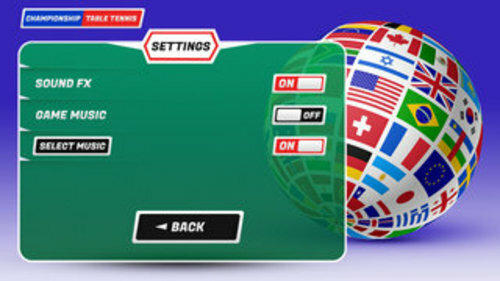 -Two game modes: Career and Tournament. -Career: play against 40 countries. 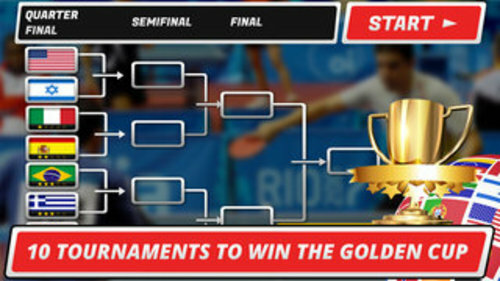 -Tournament: 10 tournaments to win the Golden Cup. -40 countries from America, Europe, Asia, and the Middle East. -8 rackets for different game techniques. -Total statistics of the games. -Create profile for each player. -You can listen to audio files from your device.